Home » » Government Hiding Behind NAFSO after Killing a Fisherman. Government Hiding Behind NAFSO after Killing a Fisherman. Sudden fuel price hike brought the fishers in to the roads in several places of Sri Lanken coastal belt. Main resistance shown by the fishers in Negombo (36 Km North from Colombo) and Chilaw(~76km north to Colombo) on the 13th Monday with thousands of fishing community members. situation has intensified with the members of private bus unions are also on struggle in most areas of the country. 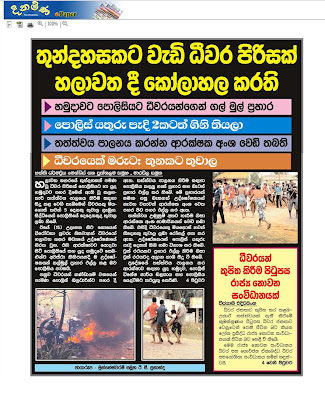 Government has use the police, Police Commandos (STF) and army to control the situation in Chilaw, where 1000s of protesters suddenly came in to the Colombo - Putlam main road with slogans against the government on the fuel price hike. The anger of fishers has came out with their voice but the intolerable government agents with the guns have shown their anger with live bullets to the people who fought for their right to livelihood protection and killed one while wounding about eight. After the shooting, Fisheries minister Dr. Rajitha Senarathne and few other Mps who exposed their findings on this incident through media. According to them, this bloody murder has happens due to fuss made by an NGO leader who work with the international agenda and money from foreign countries. whether any of media report did not directly accuses the NAFSO or Mr.Herman Kumara responsible for this fuss,till February parliament speech of fisheries Minister,we noted that some unidentified persons are following the Convener of NAFSO when he is on the road while gathering information on him from his neighbours and friends. 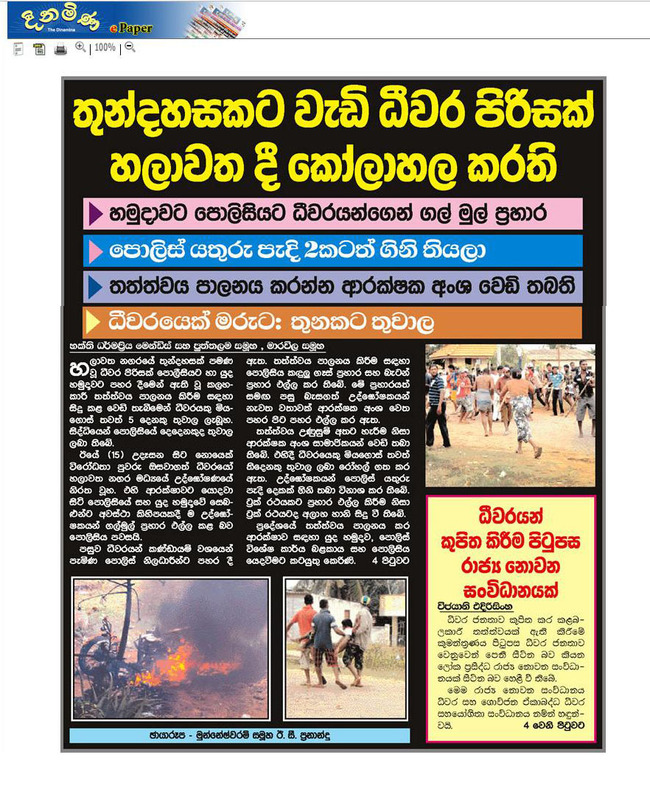 Government is trying to hide behind NAFSO, After killing of fisherman even before one year pass the killing of labour in Katunayake(~30Km North to Colombo) free trade zone at same kind of protest against government. It is impossible to Government getting away from responsibility of the killing by threatening or kidnapping the civil society leaders or keeping mouth shut. NAFSO always work with the fisheries sector people to win their rights,but this time fishers came to roads without any interference of the NAFSO. If Fishers wanted the NAFSOs' leadership to do that, we would bring thousands of fishers to the road throughout the country.